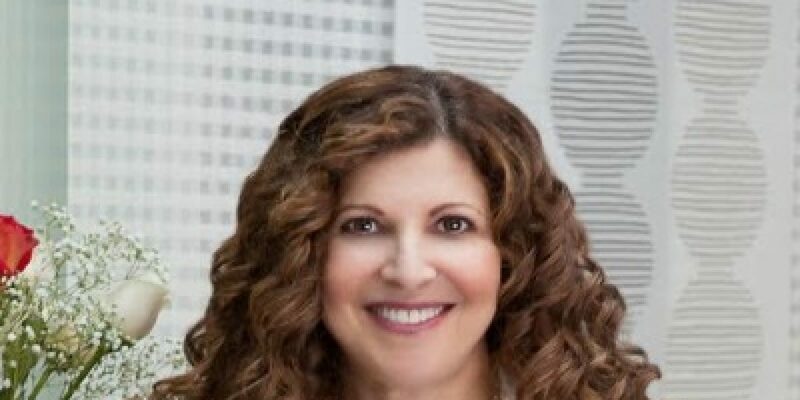 Guest Bio: Dr Josie Tenore graduated from the University of Toronto’s School of Medicine and received her Master’s of Science degree from Harvard University’s School of Public Health. She practiced full service academic family medicine and noticed that her patient population was becoming more interested in healthy aging and wanted solutions for their concerns that were outside of the scope of traditional medicine. 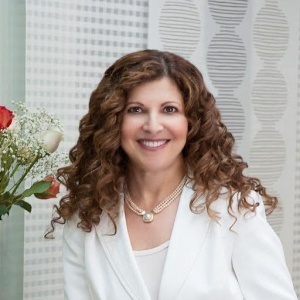 She founded “FreshSkin”, an aesthetic medicine practice and is focused on helping her patients feel as good as they look and look as good as they feel. She is also board certified in Integrative Medicine. Segment overview: Dr. Josie Tenore, MD, discusses the biggest challenges for her patients and for her practice. Neal Howard: Hello and welcome to Health Professional Radio. I’m your host Neal Howard, thank you so much for joining us today. Our guest in studio today is Dr. Josie Tenore. She’s been practicing medicine for over 30 years, graduating from the University Of Toronto School Of Medicine and receive her Master of Science degree from Harvard University School of Public Health. She’s practice full service academic Family Medicine for about twenty and half years now including obstetrics, pediatrics, dermatology, multiple procedures and adult medicine. And she is here with us today as the owner of Fresh Skin and also to talk with us about some of the challenges that she has faced in her career, as far as Life Extension Medicine is concerned. How are you doing today? Dr. Josie Tenore: I’m doing good, thank you so much. N: Thank you. “Life Extension Medicine” you prefer to use that term as opposed to anti-aging medicine, the most common term that we hear retail today is anti-aging. And you say that starting anything with “anti” throws up a negative connotation immediately, I remember you saying that in another segment. Right now your practice is located in Highland Park, Illinois. Fresh Skin focuses on Life Extension Medicine, is this something much more mainstream now as opposed when you started it or has it pretty much maintained even appeal as far as popularity? T: When I first started the my practice I was really more focused mainly on cosmetic dermatology. So I left the academics about 10 years ago. And so I founded Fresh Skin and like anything in life, the market drives what you do with your business. Because as I was doing, people would come in and their skin will look terrible and I’d be if a female patient you’re going through menopause? Because your skin just look quite there is no estrogen in it. And so then we’re starting talking hormones. And so the next thing you know I’m adding hormone therapy. Or I have a young teenager coming in and their acne was just they failed every dermatologist’s recommendations on the planet and I’m like, well did they ever put you on Nicomide which is a multivitamin that’s specifically used for acne and have, they look at your diet? And systematically altered it to see whether there is certain foods that are affecting your skin? And no, nobody’s ever done that. N: So the next thing I’m adding food sensitivity testing and that sort of thing. And then people come in and they are doing Botox because they have facial twitch. And I’m like whoa, and then they tell me these whole story about how they’re taking all these supplements. And I’m like my god, that sounds like a garage full of supplements, have you ever consider maybe having testing done to see what you actually need before you go do and see what other supplements, you might be just buying powder. And so the next thing I’m adding micronutrient testing. So it sort of has evolved in more predominantly because the population is demanding better health and they’re not really all that happy with the philosophy of going to the doctor with a complaint and the doctor throws a drug at them, which gives them a side effect and they go back, and they’re like okay so you got to heartburn and okay takes this to heartburn medicine and then…where’s harper? And their like, well maybe you need a second anti-heart burn medicine and then they’ve given this, and so on and so forth. In fact a person who does my social media said, react and this is a quote from that, I don’t go to doctor, cause you I know they’re just gonna give me a drug and I’m just gonna get side effect from it, so why bother? N: Now you said you left the academic community about 10 years ago, but it seems as though a lot of your practice is focus on educating the patient so that they know what they need and know what to expect from their treatment, as opposed to a more focus approached as opposed to that shotgun approached to aesthetics. T: Well that’s true, you could take added at the university but you cannot take the academician that, like you can’t take that out of the human being. I am, in my core being an educator and one of my patients in the testimonials that we have on my website, she said “I finally had to tell the doctor I’m willing to do these treatments because she kept saying that she kept educating me and did give me so many choices, that you know I was willing to do it and she really wasn’t supporting me.” So I do believe in education first, because otherwise it’s the same old same old it’s the doctor just told me this stuff, why you’re talking it? And I don’t know, do you feel better? Well I don’t know, because I didn’t take it because I was afraid to take it, I didn’t understand how to do this. So to me if I can educate, I’m more likely to be able to offer patient’s solutions to some tricky problems and if they understand why I’m doing what I’m doing, they’re more likely to trust me and then we get to the goal which is to either make them feel better or make them look better. N: Now you mentioned asking your patient have you ever considered testing, looking at some of the information I came across the “Healthy Weight DNA”. Let’s talk about Healthy Weight DNA testing, what is it for and how is it done? T: We use of this particular test in a number of ways, often some people are just they are curious to find out what sort of diet should I eat? Because I tried weight watchers and I gained weight or I tried paleo and I gained weight and I tried this diet and I gain weight and I tried that diet and the weight just flew off me but I don’t know if it’s a healthy diet. So in relation to those sorts of questions, my partner and I looked at, we had come across various DNA testing that could be helpful to guide people on how they should be eating based on what their DNA coding suggest. T: So we found a company that seems to have integrity. And we looked at their data to make sure. Because in this industry there’s a lot of … salesman, we wanted to make sure that we’re not just, we’re using reliable and reproducible testing and so basically. N: And you’re goanna take the wrong supplements. T: And I may take the wrong supplement. And a lot of people do, they’re like well I’m taking this vitamin B12, the doctor said it’s the right one, and I read it and it might well no this is cyanocobalamin, it’s no different than eating a dozen eggs for you, and so you really need Methylcobalamin which is a little bit more expensive. And we ended up caring supplements that we’ve added because there’s so much variation in the market place in terms of standardization. T: So this is just one example of a modification that I can’t possibly make in my own nutrition. So I need to make a modification by taking a supplement but so people end up discovering that what they really need carbs in their diet and they, the most common diet these days is a low carb diet, south beach, Atkins. Tons of people get a tremendous success with low carb diet so it explains to some of my patients, well this is why your low carb diet never works for you because genetically your body is screaming for carbs and when you don’t give it to them, you end up over eating and you’re really not achieving the goal that you’re trying to achieve, you just to have… and it tells people if they have a sweet tooth and it tells you if you have disinhibition gene. T: And so what that is, is people who have this gene if they have the correct stimuli whether it’s an appropriate smell or whether it’s a particular taste or whether its lighting – it doesn’t matter, the stimuli can be specific to individual, they’re more likely to eat more than they need. And so if they know they have a disinhibition gene, they can then use that material to say that every time I’m in that kind of restaurant with this kind of lighting I always over eat, okay. So I’m aware of that now so when I’m in that restaurant, I’m going to drink water in between each mouthful or whatever we help them come up with adaptations for them to deal what their DNA. T: Yeah, their triggers. So it’s an extremely useful report and we use it a lot at the end of a weight loss program when people have lost whether its 10 lbs. or a 100 lbs and they’re willing to do this. We performed this test on them and then say “look, here this is how you’re gonna keep your weight of,” because we’ve all seen this in solutions, people have no trouble losing weight that’s not the problem, the problem is keeping it off. So I tend to it at the end of their weight loss program and say “here now your DNA says you need to be on a Mediterranean diet,” so for you this is the diet that’s gonna keep you awake and somebody else is not will be need more of a, you need more carbs, so you need to eat this type of diet or no, you tend to have issue with lipids so really need to be on this much fat so we have to watch your fat. So it’s just a really helpful test helping people to live. N: So basically now only are you providing Life Extension Medicine, you’re actually well in many cases reversing what was giving them the problems in the first place, taking the wrong supplements too many or too much at the right supplement or maybe not needing any supplement at all. N: Now where can our listeners get more information about you and your practice? T: They can find us online at www.myfreshskin.com or they can call the office at 847 681 8821. N: Thank you so much Dr. Tenore. You’ve been listening to Health Professional Radio. I’m your host Neal Howard and we’ve been in studio talking with Dr. Josie Tenore, owner of Fresh Skin in Illinois. Her practice focuses on not anti-aging medicine but on Life Extension Medicine. And she’s been here talking with us today about some of the practices that she’s faced in trying to educate people in aesthetics in weight loss and in nutrition among other things. It’s been great having you here with us today Doctor. T: I appreciate your time. Thank you so much. N: Thank you. Transcript and audio of this program are available at healthprofessionalradio.com.au and also at hpr.fm and you can subscribe to our podcast on iTunes.